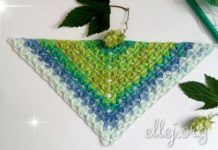 I want to show a simple pattern for a lacy triangular shawl. Pattern matches so easily, even for beginner crocheters. Despite its simplicity the shawl is very beautiful. A group of dc with picot I was reminded a little Crown, and therefore the name for pattern – Coronation. 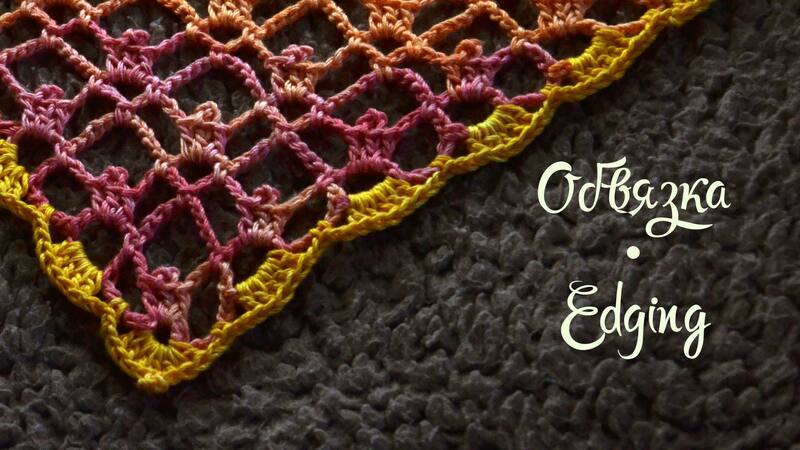 In the tutorial I will show you how to crochet the pattern, as straight the edge of the shawl (or wrap) and show the simplest edging. You can make edging by own choice and preference. I think here is well fit Solomon loops, flower edging or fringe.